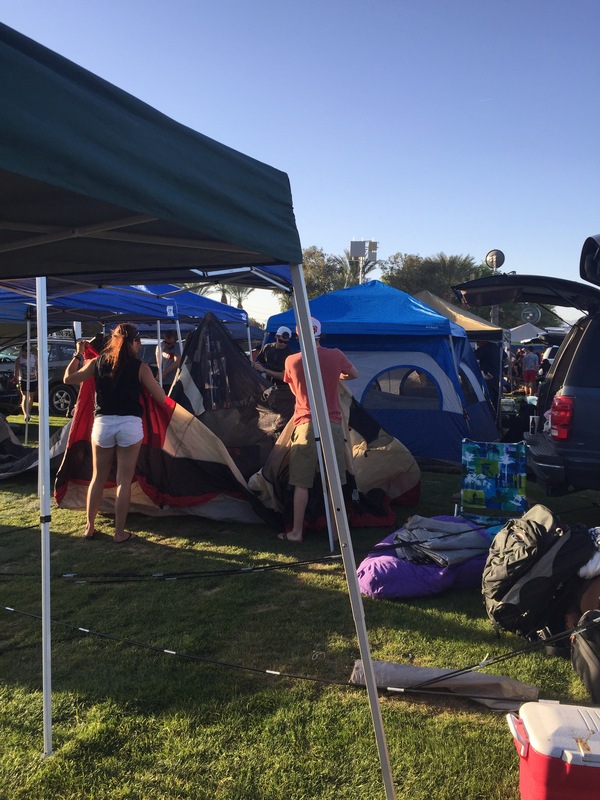 Camping in Coachella is actually not mandatory – it’s just one of the accommodation options when you are going to the Festival. 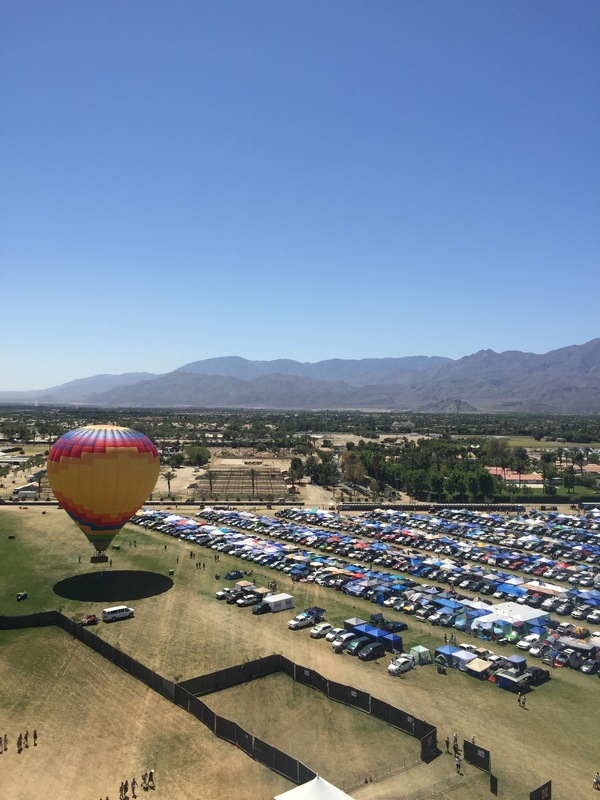 However, since I came all the way from Indonesia and it was my first Coachella… might as well just camp to have the full Coachella experience. My boyfriend has been to Coachella before but he did not camp.. so it’s his first time too. Excitedddd! When we purchased the ticket in May 2014, we purchased a car camping spot as well. This would give us a 10′ x 30′ spot the car camping area. The spot must be filled with a car and a tent. It’s then up to us how many do we want to bring in our spot, as long as everyone has a festival pass. 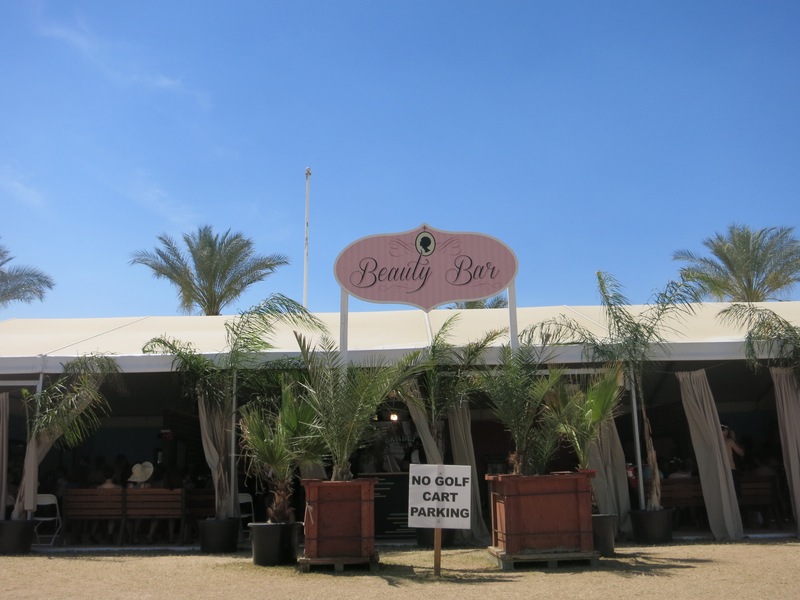 The spot is good for the whole Coachella weekend and once you’re in, you can’t drive your car out until the festival is finished. This year the festival area was opened since Thursday 9AM. We arrived in the afternoon, just with enough time to build our tent before the sun sets. After our tent was built, we spent some time resting and got to know our neighbors. As you can see from the pictures above, the space is rather packed so we thought it’s a good idea to get to know our neighbors. Interestingly, both our left and right neighbors were college students, all from California. They are young and from what we overheard (hahaha), some are not even 21! Ahhh good old days of partying :p They are the typical American college students we often see in the movies – making us look like old married couple compared to them hahaha (yet we’re not even married! lol). But they were nice and although they could be noisy at times, it was still tolerable to us. 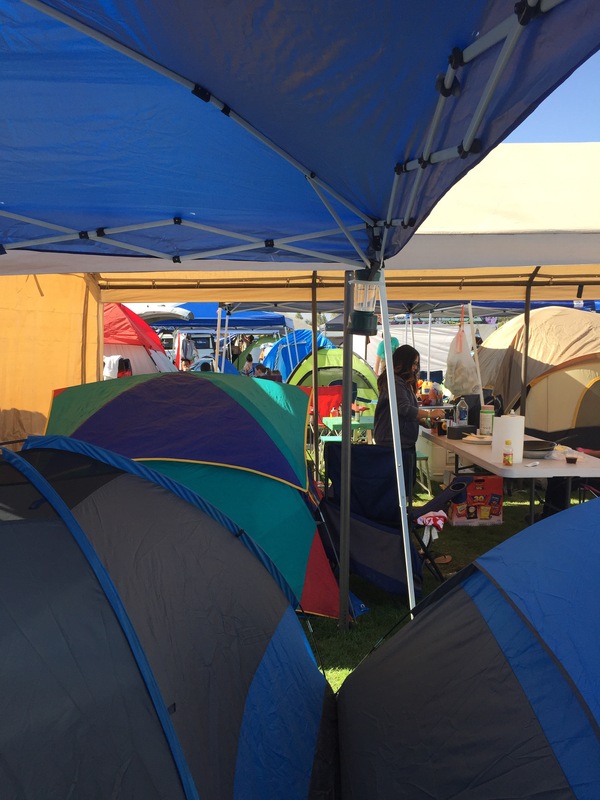 By now I hope you already have a clearer view of what it’s like to camp in Coachella. But perhaps you still wonder – was it boring? 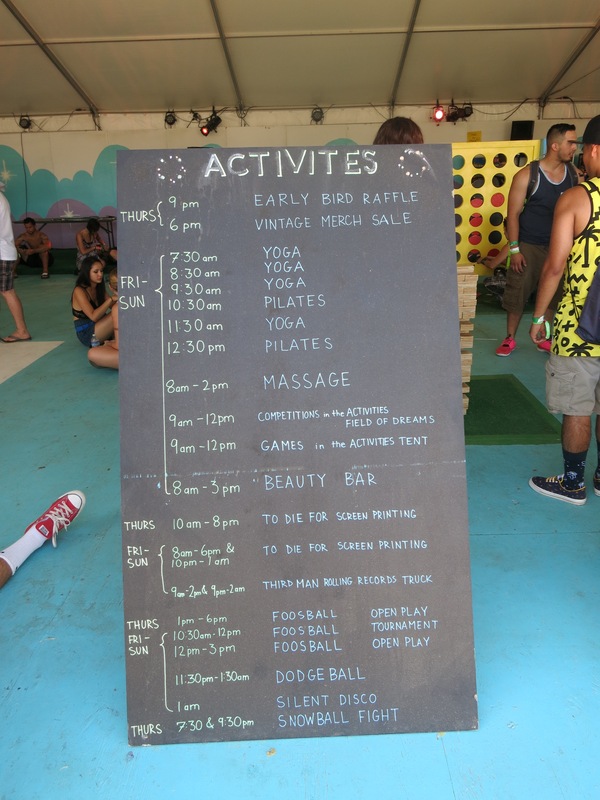 what to do when the festival site was still closed? (they opened at 11AM every day). 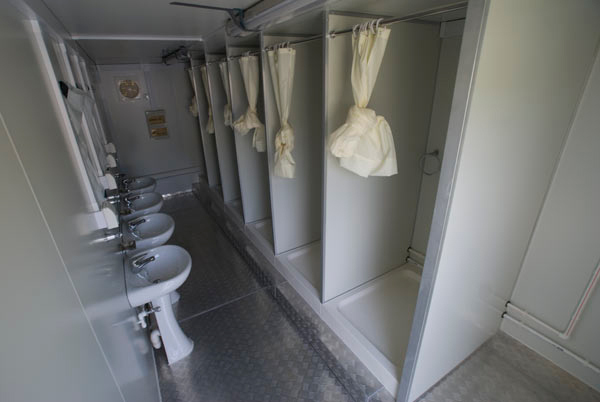 Camping Center – Full of activities! Other than the question I answered above, when I told my camping story to my friends at home, I also got two other “frequently asked questions”, lol. One is – how did you get food to eat? the answer is… we cooked! Hohoho. Yep, we brought a cooler with dry ice (which surprisingly lasted for the whole weekend! ), a gas stove, and purchased some meat, eggs, and also.. Indomie. YESSS. So our meals were never a problem , we cooked breakfast (normally eggs + bacon), lunch (normally steak+eggs), and supper (normally indomie :P). 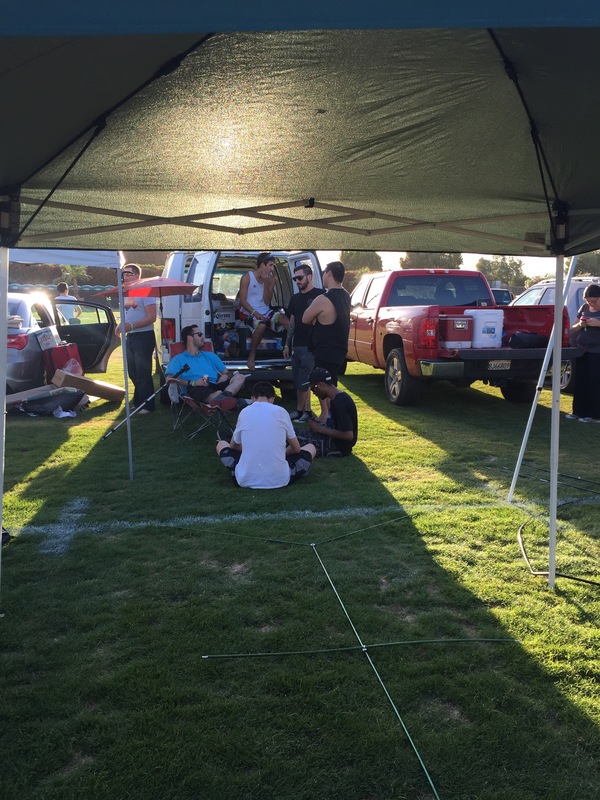 We had dinner inside the Coachella festival area because the festival had some interesting food stalls/trucks we wanted to try. But, with cooking we could save money and also have one interesting experience! 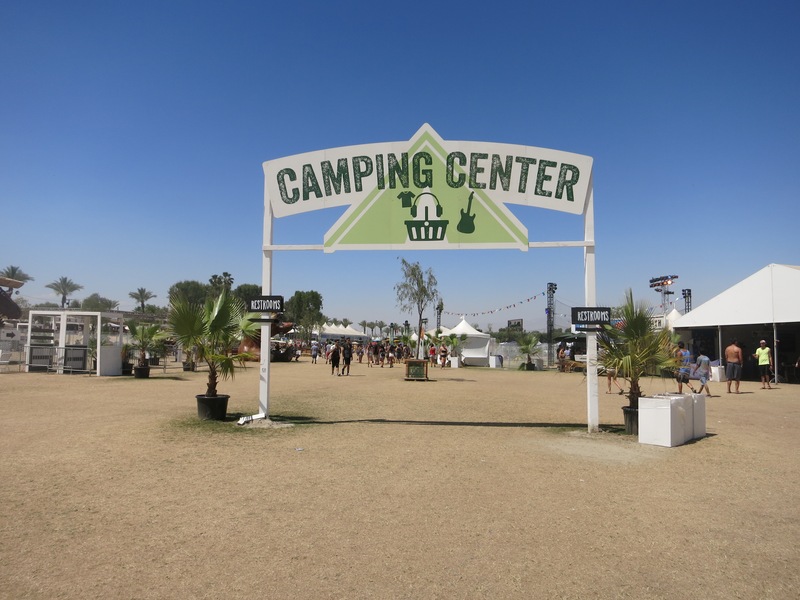 Overall, I think camping is a very fun thing to do and I’d definitely do it again the next time I visit Coachella! It definitely gave colors to my whole Coachella experience and I’d recommend you to give it a try if you’re thinking of going. Will write more about the festival itself, meanwhile here’s a picture of (probably 1/4) the car camping area taken from top of the ferris wheel… Ohhh how I wish those days could come back once more! Itu… Car camping areanya .____. Good strategy Christa regarding going to the shower. I bet it was fun camping there. The activities seemed fun to follow. And Indomie saved the weekend 😉 What was the average time to wake up in the morning? I mean all the energy from the concert the previous nights must have kept you all awake up until late. Hehehe it was indeed very fun! kalo malem dingin gak disana? Seru ya! But not my style hehehe… Kalo camping gini emang budayanya orang bule banget ya, mereka kayaknya demen camping kumpul-kumpul gini. Balon udaranya keren, tampak tunggal dan benda-benda lain kelihatan sangat kecil, terutama orang-orangnya :hehe. Tapi dilihat-lihat dari sini, agak ramai ya Mbak :hehe. Tendanya sepertinya mepet-mepet sekali dengan tenda orang lain :hehe. Tapi kalau tetangganya fun, malah bisa jadi cerita tersendiri juga ya :)). Tetangga yang asyik saat berkemah adalah sebuah keharusan! :haha. Itu yg deket parkiran beneran hot air balloon? Waaaah… banyak kelas yoga-nya!!! Hmmm… menarik!!! Next Next post: At the drive in.